Hope you all had a great Thanksgiving! Now that we’ve all stuffed ourselves and, hopefully, had a great day with the family – it’s time to get a little Christmas shopping done. I stayed up extra late last night/this morning to scour Amazon for deals they’re running on any and all of the 350+ Toys featured in our gift guides this year. 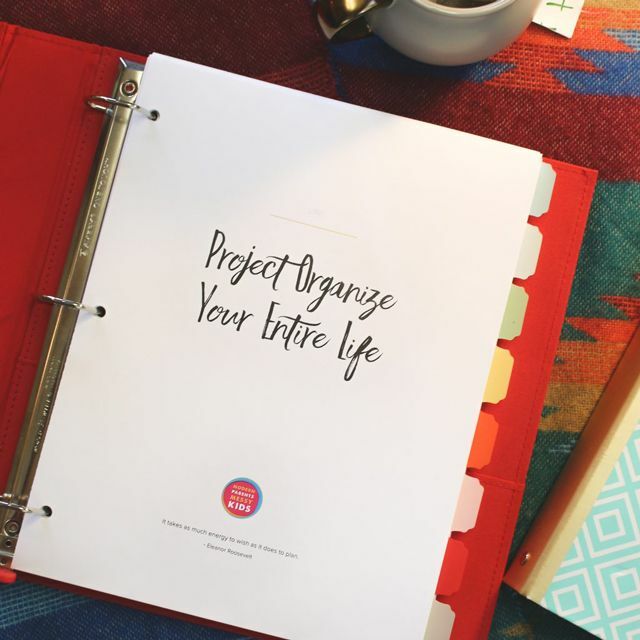 I really hope this goes a long way to saving you a little time and money today! *note: These deals aren’t specifically labeled as “Black Friday” sales, so I’m not exactly sure when they end, could be today, could be this weekend – consider yourself warned. Also, for more deals, be sure to follow our facebook page – which we are continually updating with the latest sales through December! Playskool 2-in-1 Digital Camera and Projector $50.21 $38.99 (3 – 7 years) – Photography is an amazing art to introduce to your children at a young age. Encouraging them to get behind the lens gives them a different perspective on their surroundings as well as control of their world. Plus, if you tend to take a lot of photos of your kids (ahem), getting them into photography will make them more likely to put up with your shutter bug tendencies. We’ve had a few digital kid cameras in the past and, while the kids have always been excited about them, they all were difficult for the kids to operate on their own and broke easily. So I’ve been on the lookout for a better designed kid camera for quite a while and this Oppenheimer award winning version is it! We got it for the kids for Christmas and their favorite feature has to be that with the flip of a switch this camera will instantly project captured images up onto a wall (cool!). Coming in a close second are all the funny clip art images you can superimpose onto the photos within the camera. Big buttons and screen, along with durability, good photo quality, storage of 1000 photos at a time and those instant special effects means the kids continue to reach for it for play time again and again. Kidkraft Waterfall Mountain Train Set & Table $170.99 $119.97 (18 months – 8 years) – We bought our son a train table for his 2nd birthday and we always say it’s one of the best purchases we’ve ever made. Over four years later both he and his sister still play with it several times a week. At 4 he was able to completely construct the track by himself using the map and that added a whole new level of building play to this fantastic toy. I think the model we bought has been discontinued but this one has all of the same key components: a bridge, waterfall mountain, helicopter landing pad, and the all-important drawers for storing all the little pieces. If you’re going to be putting your train table in main living space, you may want to spring for the more expensive and KidKraft Metropolis Train Set Table with Trundle Drawer. It’s got a nicer “furniture” look (and that double-decker bridge is pretty cool too). Also, over the years we’ve amassed quite a collection of Thomas trains to go with this table. LeapFrog Leappad3 $89.99 $79.99 + $20 Amazon credit = $59.99 (3-9 years), or the Leappad Ultra $129.00 (4 – 9 years) – If you’re looking for an educational introductory wi-fi tablet that’s safe for your kids, the consensus is a LeapPad is what you want. Only LeapPad Ultra has LeapSearch — a secure browser that lets kids explore the content they love. Everything on LeapSearch has been handpicked by a team of learning experts, with parental settings for easy additional fine-tuning. The continually growing collection of eBooks and educational apps available for them foster reading, art, music, language and culture, science, geography, mathematics, and health education but what I really love about them are the possibilities for creating. They come equipped with two front and back cameras and video recorders allowing children to create masterpieces in the Art Studio, edit pictures they’ve taken in the Photo Studio and create, direct and narrate their own animated movies in the Cartoon Director app. New with the Leappad3 this year is a faster processing speed, a higher resolution camera, and (most impressively), peer-to-peer play. Leapfrog Leapreader Reading and Writing System $37.49 $29.99 (3 – 8 years) – The leapreader has been a leader amongst educational toys since it’s debut, and with good reason. My son first got his when he turned 4 and not long after we decided to get one for our 3 year old too. Both kids (now 4 and 6) still spend large chunks of time “reading” stories with the pen and they used it to practice their letters as well. This is one of our top tier toys that has really helped instill a love of reading in my kids and never really makes it out of rotation. Learning Resources Pretend & Play School Set $36.00 $19.49 (3 – 6 years) – This is such a popular toy and it’s no mystery why. Kids absolutely love playing school, especially when they have some awesome props like this, and parents love how it fosters a love of learning. Tinker Toy 100 Piece Essentials Value Set $28.99 $16.49 (3+ years) – Tinkertoys are a total classic. My grandparents had a set I used to play with whenever I would visit them as a little girl and now both my 4 year old girl and 6 year old boy love them whenever they discover them at friends’ houses at play dates. I’m thinking this one may be under our tree this year. K’NEX 375 Piece Delux Building Set $19.97 $11.98 (6 – 14 years) – My son spotted this at a consignment store shortly before his 5th birthday. When I went back to get it for him the very next day, it had already been snatched up – a sure sign of a good toy. K’NEXs have been around for a long time and with good reason. If your child loves LEGO, this is a natural next step for him or her. The pieces offer lots of flexibility and many of the guided builds have dynamic, moving parts. This set includes a variety of builds including a Ferris Wheel, helicopter, train, etc. Also don’t miss: K’NEX Education – Kid Group Set $49.99 $32.90 and/or K’NEX Education: Transportation $76.99 $52.49 (3 – 7 years) – I also love that K’NEX has an entire educational line of sets that teach specific scientific principles such as the Intro. to Simple Machines: Gears and Intro. to Simple Machines: Levers and Pulleys. Playskool Sesame Street Big Hugs Elmo $48.42 $29.99 (18 months – 6 years) – Elmo has once again managed to land himself a coveted spot as one of the hottest toys around. Parents report that this dancing, singing, sleeping and hugging super-sized Elmo outshines his tickle-me predecessor. I especially like how he encourages imaginative play with scenarios revolving around astronauts, rabbits, frogs and horses and how his affirmative words and hugs will help kids build emotional intelligence as well. Diggin JumpStart Trampoline $65.40 $49.99 (3 – 7 years) – Every day around 4:30 PM I wonder why we haven’t bought one of these yet. Two of C’s buddies have one and they each love to jump and jump and jump on it. Chances are very high Santa will be bringing the kids a trampoline this year and if he does it’ll be this one due to the good reviews and space saving design. Mini Micro Scooter $79.99 $63.99 (3 – 5 years) – Hailed as “the quality choice in 3-wheel scooters for young children” this scooter has more than it’s fair share of rave reviews and awards (the Oppenheimer Toy Portfolio Gold and Platinum Award Seals for Best Toy, the Parent’s Choice Approved Seal, ‘Best Pre-School Scooter’ by Toy Report, ‘Best Outdoor Toy’ by Learning Express Stores and was featured on the NBC Today Show as part of its ‘Best Toys for Summer’ series). The key is the “learn to steer” design and back brake, both of which grant preschoolers an extra element of stability. Also, the Mini can be ridden inside while learning (or waiting for Spring) as the quality wheels, made especially for Micro, are non marking. Also, don’t miss: Micro-Mini 3-in-1 Kick Scooter $114.99 $91.99 (1 – 5 years) – lets even new walkers in on the fun. 1 year olds start out sitting on the scooter with the seat attachment and using it as a typical ride-on toy. Later they advance to the O-bar (which is lower than the traditional Mini Micro Scooter) and eventually graduate to the real deal. PlasmaCar $60.80 44.99 (3 – 8 years) – Check out the stellar reviews on this one and you’ll be sold. It’s a cool space-age car that’s powered solely by wiggling the steering wheel. This multi-award winning toy is one that will be enjoyed by kids of all ages for many years. Hasbro Furby $52.99 $29.99 (5+ years) – Dolls don’t have to be just for toddlers. Older kids flip over this tech-based friend. Feed it, speak to it, tickle it, play music for it, and shake, tilt or turn your FURBY upside down. But be warned – how you treat your FURBY will shape its personality. Lamaze Take Along Toys, Mortimer the Moose $13.99 $10.99 (0 – 2 years) – These lamaze toys were all the rage in the mommy and baby class I attended with my son and it didn’t take us long to figure out why. They have bold colors along with black and white contrast (great for baby’s poor vision) plus they’re oversized, plush, and have lots of fun stuff for baby to pull and chew on. They’re also durable – all of ours lasted through both kids and are currently being man-handled and mouthed by baby M.
Munchkin Mozart Magic Cube $19.96 $15.00 (9 months – 3 years) – We received this as a hand-me-down and both the kids and I were pretty impressed by what it could do. It’s essentially an orchestra in a cube. Press the sides representing different musical instruments (harp, french horn, piano, flute and violin) and hear 8 of Mozart’s masterpieces played by any combination of instruments you prefer. Babies and young toddlers enjoy experimenting with adding in and taking away the different instruments and, of course, each side also lights up along with the music. Melissa &Doug First Shapes Jumbo Puzzle $9.99 $6.99 (1+ years) – All Melissa & Doug puzzles are also great in my books, especially those for the really young kiddos. Melissa & Doug Deluxe Pound and Roll Tower $16.99 $11.89 (18 months – 4 years) – Like the geometric stacker and shaper sorter, this one’s a total classic. (My daughter has gotten months of enjoyment out of smacking away on these balls). Together these are the three top toys for kids in the young toddler age range. Shape Sorting Cube $14.22 $10.49 (18 months – 4 years) – Shape sorters are great for fine motor development. This one has lots of play opportunities so kids don’t quickly conquer the task and become bored. Plus it’s wood, not plastic, which is always a nice bonus. Soap Soax $24.00 $18.00 (0 – 3 years) – These adorable stuffed animals are antimicrobial and made of terry cloth so they’re the perfect bathtime friend and bath sponge. You simply place your soap of choice inside the stuffed animal, then dunk it in the tub and squeeze for soapy, bubbly fun. This is the perfect gift for the baby who has everything as well as any little one that’s developed a fear of bathtime. I first saw these on shark tank and was super impressed by the creator, who came up with the idea through his work with young kids who had been removed from dangerous home environments. Little Tikes First Slide $31.60 $24.00 (18 months – 4 years) – A few years ago when we had a 20 month old and a brand new baby, we bought an indoor slide and put it in the upstairs landing between the kids’ bedrooms. It was one of the smartest things we’ve ever done! A sturdy plastic slide used inside can be a life-saver when the weather is bad and the kiddos are restless. This particular slide – highly rated for durability and usability for kiddos young and old – also serves double duty outside as an excellent safe place for toddlers to play their big siblings scale taller play equipment. Educational Insights Magic Moves Talking Electronic Wand $14.06 $12.49 (3 – 10 years) – Normally I’m not big on electronic toys with lots of sounds and lights, but when said toy can help my kids get rid of all their pent up energy inside on a stormy day, it becomes my new best friend. This inexpensive magical wand uses 90 silly commands (sway, creep, stomp like a dinosaur, leap) and 26 songs, along with a light show to get kids moving. This is one of those rare toys that’s great for siblings of different ages to play together. It will keep the bigger kids interested (who doesn’t like having the mic and being the star of the show?) while developing listening skills in the younger set along with enriching their vocabulary and ability to follow directions. Mini Micro Scooter $79.99 $63.99 (3 – 5 years) – Hailed as “the quality choice in 3-wheel scooters for young children” this scooter has more than it’s fair share of rave reviews and awards (the Oppenheimer Toy Portfolio Gold and Platinum Award Seals for Best Toy, the Parent’s Choice Approved Seal, ‘Best Pre-School Scooter’ by Toy Report, ‘Best Outdoor Toy’ by Learning Express Stores and was featured on the NBC Today Show as part of its ‘Best Toys for Summer’ series). The key is the “learn to steer” design and back brake, both of which grant preschoolers an extra element of stability. Also, the Mini can be ridden inside while learning (or waiting for Spring) as the quality wheels, made especially for Micro, are non marking. Micro-Mini 3-in-1 Kick Scooter $114.99 $91.99 (1 – 5 years) – lets even new walkers in on the fun. 1 year olds start out sitting on the scooter with the seat attachment and using it as a typical ride-on toy. Later they advance to the O-bar (which is lower than the traditional Mini Micro Scooter) and eventually graduate to the real deal. Big Boomer Golf Set $19.29 $15.56 (3 – 8 years) – My parents (who are big-time golfers) bought this set to keep at their house for when the kids come to visit. When they were first introduced to it, both my 3 year old daughter and my 5 year old son were drawn to big bright clubs. Plus, they had lots of early success with the soft, over-sized equipment, which is key when introducing a new sport. Learning Resources Primary Science Mix and Measure Set $24.99 $18.77 (2 – 6 years) – This set includes a scale, bowl, 3 self standing spoons and 6 unique cup designs to help children visualize quantities as well as activity cards to guide children in making mystery goo, puffy paint, slime and more. Because it allows those not quite ready to experiment to get in on the fun, it’s a great toy for siblings of different ages as older kids can partake in real concocting while their younger counterparts pour to their heart’s contentment. This is a fabulous toy perfect for playing with at the sink, in the tub, or at the water table. Crayola Inspiration Art Case $39.99 $19.97 (3 – 12 years) – This 150 piece art set gets great marks for everything from it’s special looking case that keeps all the components snapped in place to the quality of the art supplies inside. If your child is getting serious about art, this gift will show them you are proud of their burgeoning skills and it’s sure to thrill. Melissa & Doug Alphabet/Number Write-A-Mat Bundle $10.99 $7.69 (4 – 8 years) – I picked up this set of laminated mats with special erasable crayons for my son when his interest in writing was just starting to pick up, around age 4. He really enjoys being able to follow the visual guidance on the mats to practice his numbers and letters without my help. The coloring portion also extends his focus as he’ll often start-off writing, switch to coloring, and then go back… a great quiet time set. Melissa & Doug Reusable Sticker Books $4.99 $3.49 (3 – 10 years) – It will truly surprise you how engaged your kids are with these deceptively simple (and inexpensive!) reusable books. My parents gave the kids a couple a few years ago for Christmas and they’ve been a consistent stand-by for us every since. Each of the books contain a series of background pages and hundreds of various sticker clings that can be positioned over and over on them. There are tons of book themes to choose from too. Along with quiet time, they are surprisingly useful on long car rides (despite their large size) and we always grab them when heading to someone’s house who doesn’t have younger children and is without toys for them. Ravensburger 60 piece puzzle $8.88 $7.10 (4+ years) – Around the time our son turned 5 he was ready for these 60 and 100 piece puzzles. Ravensburger is a classic puzzle company that always gets high marks for quality and craftsmanship. I wouldn’t be at all surprised if Santa left one or two of these under the tree for many years to come. Melissa & Doug World Map Floor Puzzle $12.16 $9.09 (5+ years) – Large floor puzzles are great to introduce around ages 3 or 4. We have several Melissa & Doug floor puzzles and our 5 year old has loved them for quite a while. The educational value is great too. Classic Etch-A-Sketch $14.99 $7.99 (3-10) – This quintessential mess-free art toy does double duty, serving as both the perfect quiet time toy and the ultimate travel toy. Keep it on-hand at all times, you won’t be sorry. Melissa & Doug 60 Piece Standard Unit Blocks $57.99 $48.99 (2 – 15 years) – If I could buy my children only one toy, a large set of basic wood blocks like these would be it! They are the ultimate creativity toy – enough said. K’NEX 375 Piece Delux Building Set $19.97 $14.97 (6 – 14 years) – My son spotted this at a consignment store shortly before his 5th birthday. When I went back to get it for him the very next day, it had already been snatched up – a sure sign of a good toy. K’NEXs have been around for a long time and with good reason. If your child loves LEGO, this is a natural next step for him or her. The pieces offer lots of flexibility and many of the guided builds have dynamic, moving parts. This set includes a variety of builds including a Ferris Wheel, helicopter, train, etc. K’NEX Education – Kid Group Set $49.99 $32.90 and/or K’NEX Education: Transportation $76.99 $52.49 (3 – 7 years) – I also love that K’NEX has an entire educational line of sets that teach specific scientific principles such as the Intro. to Simple Machines: Gears and Intro. to Simple Machines: Levers and Pulleys. Disney Frozen Travel Dress-Up Trunk $24.99 $16.74 (2 – 6 years) – Disney princess dresses like these are pretty much all our daughter wanted for her 4th birthday so she got several from friends. And, of course, the FROZEN dresses are always highest in demand. They have all held up impressively well amidst repeated dramatic play use (while I may not be the biggest princess fan, I do LOVE the creativity these dresses have brought out in my girl). Playskool Heroes Transformers Rescue Bots Starting at $13.61 $9.99 (3 – 6 years) – The perfect introduction to transformers, these rescue bots have a great book series of the same name and are easy for small hands to manipulate. Playmobil Rescue Ambulance $19.99 $15.00 (3 – 10 years) – I’m eyeing these sets for my 5 year old son this year. He’s in a rescue phase and I think he could set up some amazing scenarios with a few of these together (may have to recruit the aunts or grandparents to get him some too). Melissa & Doug World Airplane and Luggage Carrier Set $19.99 $17.49 (3 – 6 years) – This simple set is charming. It’s the perfect thing for promoting lots of imaginative play and I’m smitten with the little wooden luggage and luggage cart. Manhattan Toy Snuggle Pod $17.99 $13.72 (all ages) – Looking for baby’s first doll? This ultra soft baby complete with her own snuggle pod is a great choice. Huggable and washable, it’s great for babies and toddlers alike. Melissa & Doug Feeding set $13.12 $10.49 – This is a very nice feeding set (and there’s also a changing set that includes a diaper bag) that is great for some high quality dramatic play. Chutes and Ladders $10.99 $7.98 (3+ years) – This game is a total classic and must-have because kids the world over love it and it doesn’t require reading or math skills so even your younger little ones can get in on the fun. Once you score some great toy deals today, we want to also help you to focus on more than just gifts, connecting with the kids and maybe even fighting the sense of entitlement that can come with the season. Sound good? 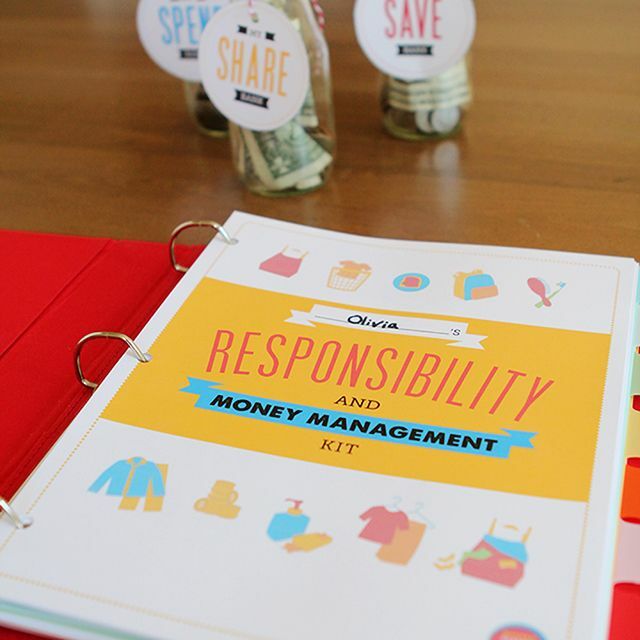 Today we’re offering a limited time Black Friday bundle of our Hands-on Holidays eBook AND our Kids’ Responsibility and Money Management Printables Kit! Get both (a $17.98 value) at the bundle price of $13.98 now through Sunday, November 30th, using this Secret Link (but go ahead and share it with your friends if you want to)!